Transform the appearance of your home with one of our high security, energy rated, stylish and affordable UPVC front and back entrance doors. 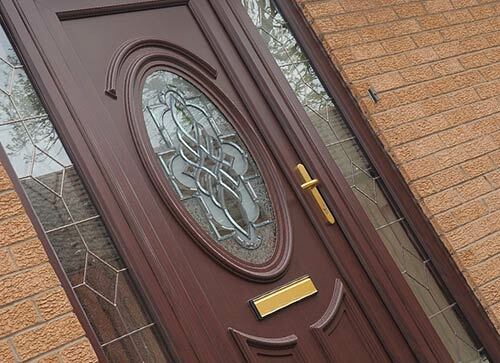 UPVC panel entrance doors from Bon Accord Glass are available in a range of styles and finishes. 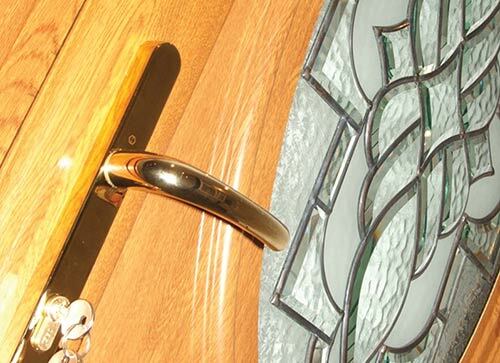 Designed to compliment your home whilst providing high security multi-point locking. 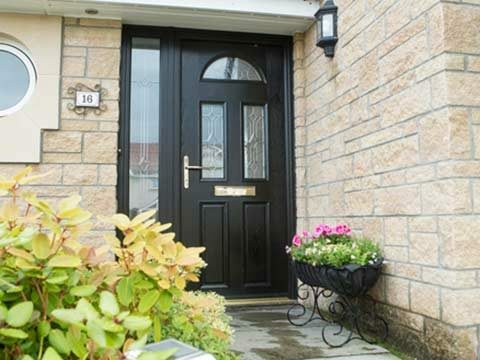 These beautiful front doors, each individually made-to-measure come in a range of styles, colours and finishes to blend naturally with, and compliment your Aberdeen home. 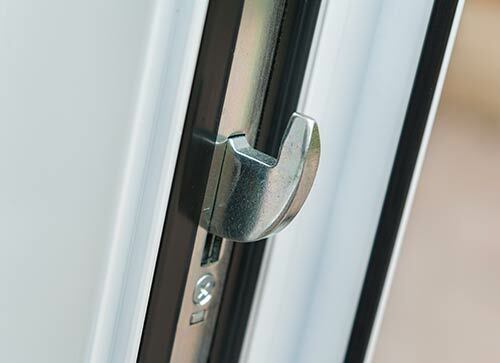 Our full selection of UPVC front and back doors have fully heat welded mitred corners and mid rails. 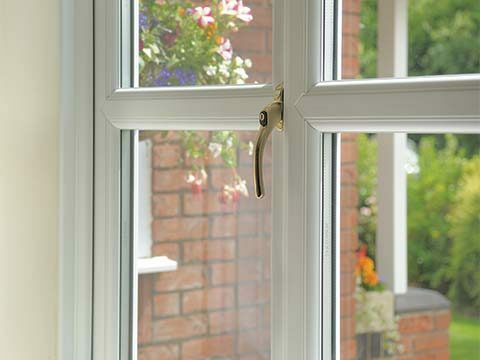 They also feature an exclusive multi-chamber UPVC profile for superb heat saving and insulation. 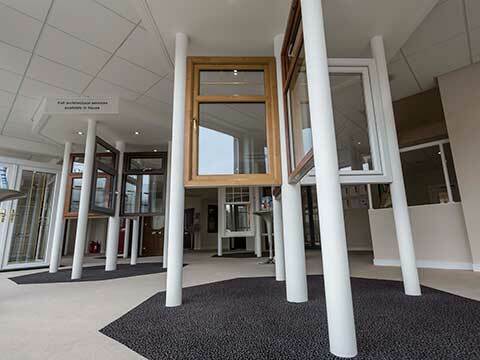 Add-ons include a restrictor, low threshold for wheelchair access, side screens and top lights. Without a thermally efficient front door you can expect to be being paying much more than you should be on energy bills. 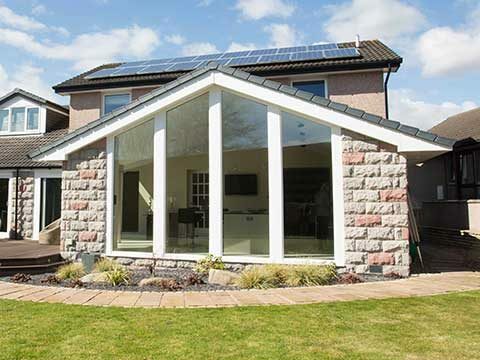 The installation of a UPVC door will solve all your energy-related woes as it will retain heat more effectively and bring down their cost. Utilising less energy in your home will also cut your carbon footprint which is good news for the environment and something all of us should be doing. There would be no practical use for a UPVC door minus hardware. It will only look as it should once a letterbox, handle, number plate and set of hinges have been added. 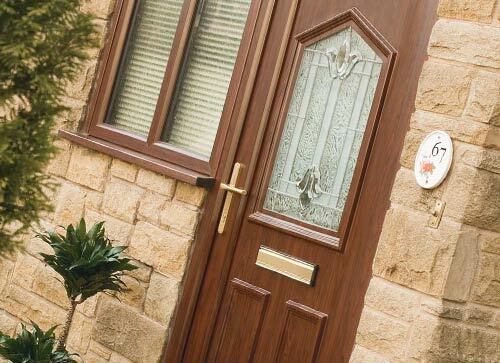 They’re what make a UPVC door stand out so you can proudly show off your home to friends, family members and neighbours. 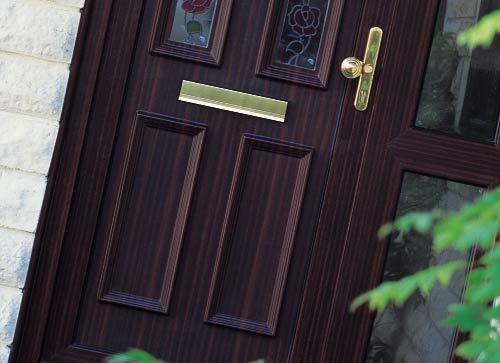 UPVC doors with accompanying panelling come in three colour choices; Classic White, Golden Oak and Rosewood. If that makes you feel a little restricted for colour, then scrap the panelling and it opens up a whole new world of colour. Omitting door panelling also means that you can include more glass in your UPVC door such as patterned glass if you want to incorporate further colour into the design. All backing glass provided by Bon Accord Glass is super stylish and promises to give you enhanced privacy and light transfer. 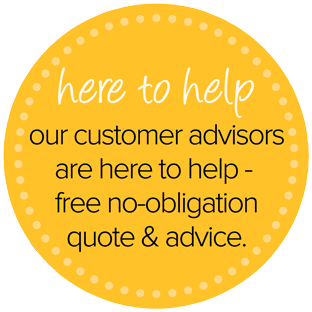 Being involved in glass research and development for so many years puts us in the perfect position to advise you on the glass designs that you can have implemented into any UPVC door. 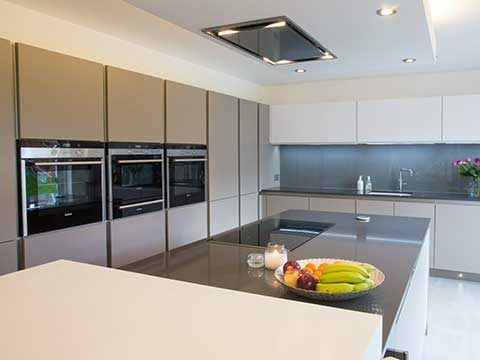 Scrutinise our full selection of backing glass (available as toughened or laminated for safety and security) so that your taste is satisfied.